The Department of Congenital and Acquired Heart Defects, Heart Valve Diseases at the University Hospital Muenster offers the full range of diagnostics, outpatient and inpatient treatment of these diseases. 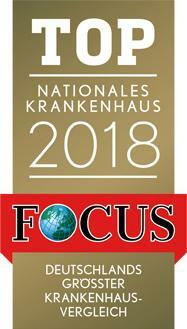 The department became the first Center of Excellence in Germany in the field of its specialization and annually treats a large number of native patients and patients from other countries of the world. The department has a wide range of diagnostic options, as well as doctors have vast experience in catheter interventions. The department is headed by Prof. Dr. med. Helmut Baumgartner. The department's medical team makes every effort in order to provide the first-class medical care adapted to individual needs. At the same time, important attention is paid to the psychosocial support of patients. Thanks to a comprehensive approach to therapy aimed at the positive long-term result for each patient, the department regularly demonstrates high treatment success rates. The treatment of patients who need heart surgery is carried out in close cooperation with the specialists of the Department of Cardiac Surgery. In this case, the department's cardiologists are responsible for the comprehensive diagnostics and subsequent care. In addition, the experts from the Department of Cardiology and Angiology are involved if required. Thus, the department offers patients the widest therapeutic options and the very latest treatment techniques, in particular catheter procedures, which are an excellent alternative to classical surgical interventions. Most minimally invasive procedures are performed under local anesthesia. The patient does not feel any pain and can be discharged from the hospital much faster. After the catheter procedure, the patient is also recommended to undergo regular follow-up examinations. 1981 Doctor of Medicine, University of Vienna. Intern at the Sisters of Mercy Hospital, Linz and at the Sankt Pölten General Public Hospital. Medical specialist training for Internal Medicine, Department of Internal Medicine II at the Sisters of Mercy Hospital, Linz (Prof. Dr. Peter Kühn). Since 1990 Medical Specialist in Internal Medicine. 1989 - 1990 Fellowship, Department of Cardiology, Cedars-Sinai Medical Center, University of California, Los Angeles, USA (Dr. med. Gerald Maurer). 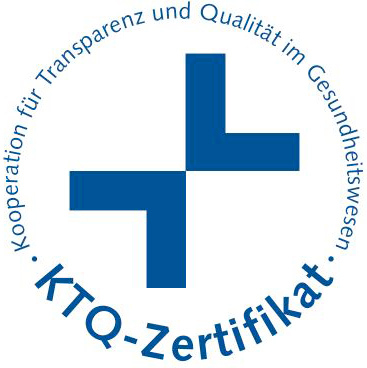 1991 Board certification in Cardiology (Prof. Dr. Peter Kühn). Until 1993 Senior Physician, Department of Cardiology at the Sisters of Mercy Hospital, Linz. 1993 Habilitation (Internal Medicine/Cardiology) at the University of Vienna. 1993 - 2007 Senior Physician at the Department of Cardiology (Department of Internal Medicine II), General Hospital Vienna. Extraordinary Professor for Internal Medicine/Cardiology at the Medical University of Vienna (until 2007). Head of the Program for Adolescents and Adults with Congenital and Acquired Heart Defects. 1994 - 1997 Establishment and management of the Outpatient Clinic for Hypertrophic Cardiomyopathy at the Department of Cardiology (including outpatient and inpatient treatment, non-invasive diagnostics, catheter interventions in these patients). 2005 - 2007 Participation in the intervention stand-by service of the department (coronary angiography and interventions, including acute interventions). Intermittent management of the Department of Cardiology. Head of the Research Group for Structural Heart Diseases (congenital and acquired heart defects, hypertrophic cardiomyopathy) at the Department of Cardiology. Head of the Research Group for Echocardiography including the Laboratory for In-Vitro Ultrasound for Experimental Research of the Department of Cardiology. Organizational tasks at the department (including personnel ones). 1993 - 2001 Head of the Laboratory at the Department of Cardiology. Teaching at the Medical University of Vienna (including the main lecture on Cardiology in the new curriculum). 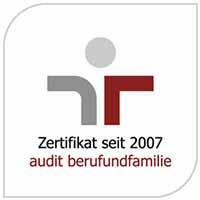 Since 11.2007 Head of the Department of Congenital and Acquired Heart Defects, Heart Valve Diseases at the University Hospital Muenster. Since 01.11. 2007 W3 Professor for Cardiology (Congenital Heart Defects in Adults – Cardiology, University of Muenster. Experimental and clinical investigations in the field of cardiac ultrasound (special focus on heart defects). Catheter interventions in the treatment of congenital and acquired heart defects. 147 publications, 90 of them in peer-reviewed journals (cumulative impact factor 377,255), 58 of them as first or senior author (cumulative impact factor 262,430), 201 published abstracts. 12 Research Awards (11x as first or senior author, 10-fold Austrian Cardiologist Award). 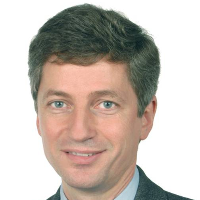 2005 - 2007 President of the Austrian Society of Cardiology. 2006 - 2009 Board Member of the European Society of Cardiology. Board Member of the Working Group on Congenital Heart Diseases in Adults of the European Society of Cardiology (Co-Chairman 2004 - 2006, Chairman 2006 - 2008). Representative of Austria in the International Society for Adult Congenital Cardiac Diseases (since 2007 Executive Committee Member). Board Member of the Working Groups for Congenital Heart Defects (Founding Member) and Echocardiography of the Austrian Society of Cardiology. Member of Committees and Task Forces of the European Society of Cardiology (Practice Guidelines on the Management of Heart Valve Diseases, Accreditation, Education and Research Grants), German Society of Cardiology (Guidelines for Acquired Valve Defects, Guidelines for Adults with Congenital Heart Diseases) and the Austrian Society of Cardiology (importance of coronary CT, comprehensive optimization of myocardial infarction therapy, catheter intervention in structural heart diseases, creation and processing of examinations). Chairman of the Task Force of the European Society of Cardiology on the development of the ESC guidelines on the management of congenital heart diseases in adults (since 2008). Chairman of the Task Force of the American Society of Echocardiography and European Association of Echocardiography (European Society of Cardiology) for the creation of recommendations for the assessment of valvular stenosis. Member of the Ethics Committee of the Medical University of Vienna (until 2007). Editorial Board Member, European Journal of Echocardiography, Journal Cardiology. Regular Reviewer for top journals and annual conferences of the American College of Cardiology, European Society of Cardiology, EuroEcho and the Austrian Cardiology Society. Department of Congenital and Acquired Heart Defects, Heart Valve Diseases.